Mr. King is available for speaking engagements on talent trends or national security and cyber trends, panel discussions or moderating panels. Additionally, Mr. King has achieved his goal of being a “trusted agent” having helped many dozens of senior IC/DoD transitioning government officials find private sector roles and consulting/board opportunities. He is sought for his confidential advice by senior government officials as well as leading investors, boards and executives. CyberSecurity Ventures as a Top 10 Cyber Search Firm Worldwide. Hunt-Scanlon Media as a Top 20 Cyber Executive Search Firm. ExecutiveBiz as a Top 10 GovCon Executive Recruiter. Bisnow’s Top 40 Federal Entrepreneurs and Innovators in DC. 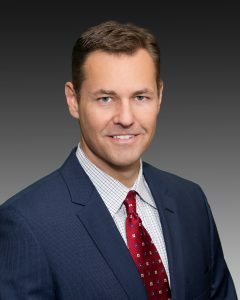 He is a co-founder and board member of MissionLink, an exclusive, CEO-only organization which fosters collaboration, access, and opportunity for companies focused on defense and national security missions. On its 6th year with over 300 alumni, MissionLink has been featured in The Washington Post, The Washington Business Journal, The Washington Times, Modern DC Business, and Bisnow. Prior to founding Benchmark, Mr. King was a Managing Partner at Austin McGregor Executive Search. He joined the firm in 2000, opened the Silicon Valley office in 2003, and bought-out the founder with a partner in 2004. He then returned to the DC-area to expand the firm’s East Coast High Technology practice and launch the Federal IT practice. Mr. King’s experience in the technology industry dates back to 1995 where he led channel sales and business development for Erol’s Internet, helping the company grow from 5,000 to over 100,000 customers, becoming the 7th largest ISP and then being acquired. He was then recruited to join a top 10 retained executive search firm and was their youngest search consultant. He was on the leadership team of the company’s early-stage high technology practice. He graduated from Florida State University with a BS degree in Political Science in 1993. Mr. King serves on the board of two veterans nonprofits: No Greater Sacrifice and America’s Warrior Partnership. Additionally, he co-founded and serves on the board of non-profit HER Foundation (Hyperemesis Education & Research) and MissionLink. He is a member of Northern Virginia Technology Council (NVTC), Business Executives for National Security (BENS) and Association of Former Intelligence Officers (AFIO), Armed Forces Communications and Electronics Association (AFCEA), Intelligence and National Security Alliance (INSA) and National Association of Corporate Directors (NACD).